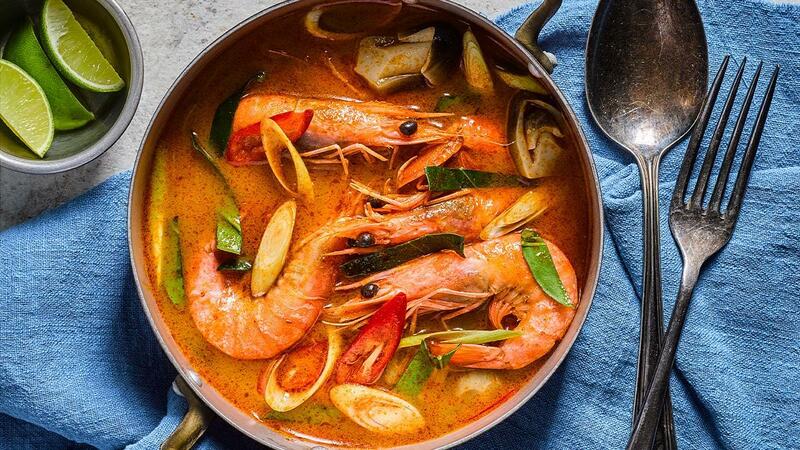 Why go out when you can enjoy the flavours of Thailand at home with our quick recipe for Tom Yum Soup made with lemongrass, kaffir lime leaves, red chilli, fish sauce and Tom Yam Paste? For extra oomph, add in prawns, straw mushrooms and coriander. Add all ingredients – Tom Yam Paste, lemongrass, lime leaves, red chilli, fish sauce – in a stock pot. Bring to boil and simmer for 5mins. Add in prawns and simmer for 5 mins.